Leaders Are Made, Not Born. 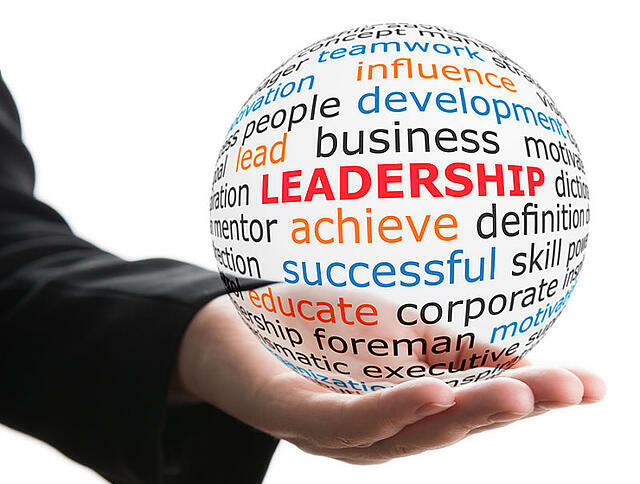 Develop Your Leadership Skills Now. Let’s get this straight from the get go; there is no such thing as a natural born leader. Regardless of how much power and influence one may have been born into, leadership is a learned skill. Sure, it comes easier to some and we can’t ignore that there are those who enjoy a quicker route to the top, but in order to stay there, to keep growing their influence, they had to cultivate some key qualities. Leadership is not a title, it’s a mindset, a way of being. Whether you have your sights on management, the C-level Suite, or run your own business, you’d do well to begin integrating these qualities into your everyday life now, for habits only become habits with practice. Here are 6 things great leaders know. The only way to get a broad understanding of any situation is to first listen to what other’s have to say. Take everything in, consider all sides of the story before formulating your response. Then, once you’ve considered what it is you want to contribute, concision is the key to effective communication. When you are willing to listen more and speak less, others will feel more valued if you are willing to hear them out. When you do speak, people will be far more apt to listen. A good leader, one who motivates and drives a successful team, is first and foremost a model of reliability and accountability. Reliability is won by doing what you say you’re going to do, when you said you’re going to do it. And then going one step further to take responsibility should things go sideways. There has to be more than one solution to any given problem, and a good leader knows this to be true. Rigidity kills innovation, leaving no room for new ideas to bloom. Certainly there may be standards and procedures that must be adhered to, but a good leader leaves room for creativity to bloom. While this may sound at first like a contradiction of Speak less, Listen more, it’s in fact an important pillar of good leadership. Assumptions not only cause conflict and wasted time and resources, they diminish trust. Once again concision is the key - it takes less time to communicate clearly with your boss, your team, your customers than it does to clean up the mess left behind by confusion and miscommunication. Patience is a virtue, so we are told, and it’s also a key to understanding what true leadership means. Now is not always the best time to hold that meeting, to send that email, to ask your boss to assign you to that project. Just as entrepreneurs know that there must be a period of sacrifice before success, planning ahead and being willing to be patient often means the rewards will be all the sweeter. The point of being a leader is not glory or accolades, or even the biggest office. In business, the goal it to build a strong company and ensure that everyone succeeds. Ego, selfishness, competition and other cut-throat tactics might get you ahead in the short term, but a career to be proud of is built on stronger material. Great leaders are not born, they are made from integrity, respect and hard work. Are you looking for a new position to help you meet your leadership goals? If so, let J.Patrick & Associates hunt for you! There's one vital truth every sales manager knows: A motivated sales team is a successful sales team. But sometimes motivation flags and the team hits a rough patch. It might be a case of the post-vacation blues, the March muddles or the mid-summer humdrum. You may never know what causes a flag in productivity, all you have to know is that it's up to you to re-invigorate and motivate your team. Here are 6 ways to motivate your sales team and get them back to running at full tilt. The foundation of any healthy relationship is trust, and this is no less true of the manager/employee dynamic. We already know that people who are invested in their work are more productive and more likely to succeed. (In fact, according to one study, they are 12% happier) The manager who sets a tone of mutual respect and trust is more likely to keep the team moving forward than one who focuses solely on metrics and outcomes. In order for your team to succeed they have to feel that you have their best interest at heart and that you are open to hearing about both their challenges and goals. Nurturing an environment based on transparency is vital to building the two-way bond of trust and engagement. It's one thing to train a new hire, but in order to keep your team upbeat and closing, you need to always be providing new resources for them to deepen their skills. And while sometimes that might manifest as additional training, don't forget that the depth of your knowledge and experience is a vital source of information. Spend one-on-one with your reps: schedule time to listen in on calls, provide the opportunity for them to sound off with their questions, problems, stumbling blocks. There's another benefit of spending time individually with your reps; not only are you building rapport, but you're also sending the very strong signal that you are personally invested in their success. Always make sure that your team understands what you want of them. 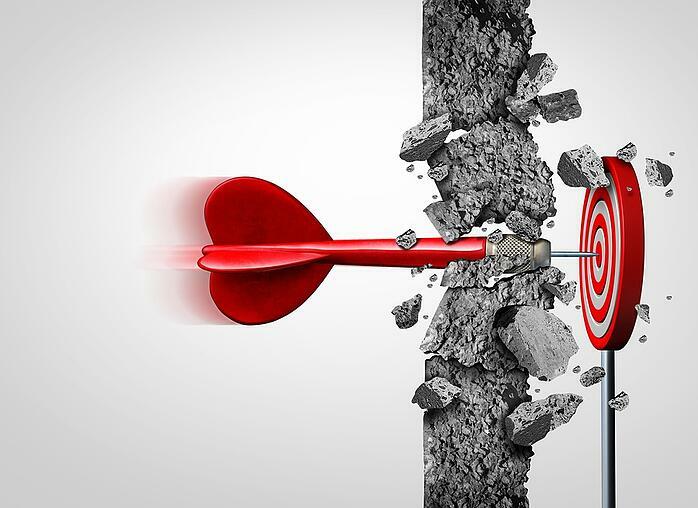 Closing deals might be the obvious goal, but have you set clear objectives? The last thing you want is a team that consistently falls short of their quota. And more importantly, are the objectives attainable? Have you made certain that your sales reps know what is expected of them? It's one thing to set a quota, but if your expectations are based on out-dated metrics, or don't account for a change in the market, then you are setting your team up to fail. Regularly scheduled reviews (bi/tri/annually) providing ongoing feedback. Make yourself available on a regular basis. It's important to create an environment where feedback is part of the daily/weekly process. And most importantly, framing that feedback in a positive light, as an opportunity for growth and providing actionable items leads to trust and ultimately to better employee performance. Even the most self-disciplined and talented salesperson needs to know that they are valued. Celebrate milestones and victories, both large and small. The "No news is good news" axiom is not one you want to follow when it comes to managing your team. Be certain to recognize those small daily victories that might not lead directly to closing a deal, but rather that add forward momentum. Everyone wants to feel appreciated - a pat on the back should not be conditional on closing a deal. Every manager has a style, and hopefully, you made yours clear during the hiring process. What pace of feedback do they respond best to: daily/weekly/monthly? How do they like to receive feedback: publicly/privately? In person/via email? What is the surest way to squash their motivation? Keeping your sales team inspired and motivated is about finding out what drives them, as individuals and as a collective. Once you do, chances are you'll see both quotas and employee satisfaction rise. If you’re a hiring manager with a fully staffed team, you might assume there’s no need to keep seeing candidates. After all, you’re busy and need to keep your focus on rewarding your top performers, continually training the guys in the middle and pushing the team members who are lagging behind. Why waste time interviewing candidates for a position that doesn’t exist? Well, there are several important reasons why you should always be recruiting that transcend simply filling vacancies. Regardless of what business you’re in, you need to constantly be gleaning intelligence about your brand’s position in the marketplace. By always being willing to interview candidates with in-demand skills you are creating an awareness of your brand and stoking interest for openings down the road. It's also an invaluable way to get all kinds of information about your place in the marketplace. How are you perceived by your user base? How does your brand stand up in the marketplace? What’s your reputation out in the job market? Additionally, it allows you to stay current on your competition. If you want to learn how other companies in your sector operate, you have to keep speaking to people on the inside. And who better to learn from than someone who is looking to move on. Where does your company stand against your competition in terms of pay structure, quotas, the tools they use. How is the morale at your competitors? Do they have a high level of management churn? Building a fluid picture of your place in the industry is key to staying competitive. Even if you have your dream team in place and can’t foresee it changing anytime soon, you have to remember that life happens. People leave, they get promoted or maybe they’re unexpectedly moved to fill a hole in another group. And let’s be honest, not every hire delivers on their potential. If you don’t have a pipeline of top quality candidates to draw from, then you’re stuck either with a mediocre performer or worse, with an empty desk. And if you’re in sales, you know that a vacancy is costing you not only productivity, but is draining your own quota. This is a high price to pay for not planning ahead. Pop Your Filter Bubble To Stay Competitive. When you look out over the same vista day after day, it’s easy to lose perspective. Just as you might talk to your mentors, attend conferences and keep up with with your peers in order to gain new insights into your sector, interviewing candidates allows you to see what’s possible. It’s easy to get caught up in the mindset that the team you have is the team you’ll always have. But if you are meeting candidates on an ongoing basis, you’ll see that you have options. You don’t have to tough it out with the salesperson who’s struggling to keep up, nor do you have to put up with the cancer in the locker room. What it really comes down to is the difference between simply filling vacancies as the occur, and engaging in workforce planning. The first model leaves your team exposed and under pressure to cover the workload left behind by a vacancy. But if you always make the time to meet qualified candidates you'll be far more nimble and ready to act when you find yourself with an empty desk. IS THE HYBRID RECRUITING MODEL RIGHT FOR YOUR BUSINESS? Someone who motivates and drives a successful team is, first and foremost, a model of reliability and accountability. Reliability is won by doing what you say you’re going to do, when you said you’re going to do it. And then going one step further to take responsibility should things go sideways. There has to be more than one solution to any given problem, and a good motivator knows this to be true. Rigidity kills innovation, leaving no room for new ideas to bloom. Certainly there may be standards and procedures that must be adhered to, but a good leader leaves room for creativity to bloom. The point of being a leader is not glory or accolades, or even the biggest office. In business, the goal it to build a strong company and ensure that everyone succeeds. Ego, selfishness, competition and other cut-throat tactics might get you ahead in the short term, but a career to be proud of is built of stronger, more generous material. Are you looking for a new position to help you meet your career goals? If so, let J.Patrick & Associates hunt for you! Check out all our current available positions by clicking here. With Memorial Day comes the unofficial beginning of summer; time to break out the BBQ, beach towels and white pants and to slow down. Well, that’s all fine and well for the weekends or vacation, but it's not great for keeping your team up and running. Even if your business slows some in the summer months, it can be a challenge to keep employees running at speed. While you can’t ignore the fact that the season has an effect on productivity, here are some ideas to keep thing running well. Prepare for the Inevitable. 45% of Americans take their vacations in the summer. With that many people cycling in and out, employers need to plan ahead. Encourage managers and directors to set the vacation calendar for their teams long before the days start getting longer, that way they can be certain to account for any overlaps, or potential interference with critical deadlines. It's also important to be certain to create an environment that encourages employees to take those vacation days. All too often employees are too stressed, or too worried about what they might find waiting for them at the office when they return, and so we wind up with only 25% of Americans actually taking the days they are entitled to. If you want employees who are engaged and focused, foster an atmosphere that supports well-deserved time away. Work On Your Flexibility. If you haven’t already, consider how to make work hours more accommodating during the summer. While not every company is in the position to offer a four day work week every other week from June through August, perhaps a 10/4 solution would be a better fit: employees work 10 hours a day for 4 days a week. However you manage it, providing some flexibility during the warm days will help cut down on “sick days” (don’t they always seem to happen on a Friday or a Monday?) and slowed productivity. Another way to approach it is to offer remote hours. Let Fridays be an optional telecommuting day -- just make certain you have the right technology in place to both ensure employees can be productive, and that all their work remains secure. Consider Climate Control. The only thing worse than being stuck in a sweltering hot office on a long summer’s day, is being stuck in one that’s chilled to sub-arctic temperatures. And while the HVAC system for many buildings is centrally controlled, provide what fixes you can for your employees. If the central air is too cold and maintenance won’t heed your calls to turn it down some, give out sweatshirts with the company logo. Too hot? Bring in some auxiliary cooling units. Then too is the problem that what’s too cold for some is just right for others. You may not be able to create the perfect climate for everyone. But at the very least, polling your employees on their comfort level, shows that you care, and that goes a long way to mitigating their woes. Take It Outside. If your location allows, arrange for lunch to be eaten outside. Schedule a weekly visit to the park, put out a picnic table under the tree, get some tables with umbrellas for the courtyard. If your weekly staff meeting doesn’t demand the use of too much tech, find a spot outside where everyone can gather and do your weekly there. 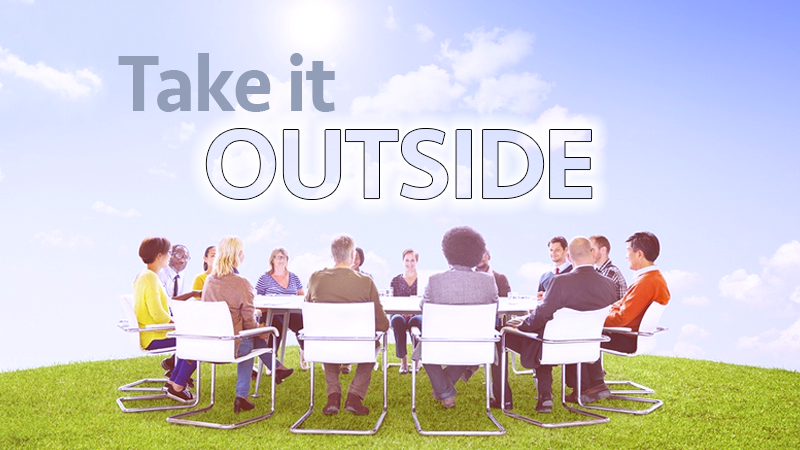 While getting work done is key, allowing some fresh air into a weekly meeting can help loosen up some new ideas. Finding ways to encourage employees to get outside in the middle of the day not only helps to keep them focused and productive when they are in the office, it can also serve to increase the flow of ideas. Fresh air feeds both your employees and the company. Call In The Caterers. Large companies cater lunch on a fairly regular basis for the simple reason that it keeps their workforce focused and productive. And while that may be beyond the means for smaller businesses, you can certainly do this on a smaller scale. Buy the team lunch one Friday a month, stock the break-room with cool drinks, keep the freezer stocked with ice cream or ice-pops. Arrange a Food Truck Friday either with a number of local food trucks, or a rotating calendar or favorites. Set up a sno-cone machine and keep a steady supply of ice. Consider what would appeal to your employees and treat them -- they’ll show their appreciation through the quality of their work. Bring the Outdoors In. This is the perfect time of year to make some alterations to the physical plan. If you are overdue to rearrange the work space lay out, get it done now. New paint, new art, more plants and or flowers all go a long way to breathing new life into the office. Think of the office as you do your home, and lighten things up a bit. Create New Challenges. Even if your business is one that slows in the summer, create new sales challenges or productivity contests. Just as you provide training and professional development throughout the year, take this time to encourage friendly competition. You can even throw in a physical challenge: The team member who can make the most calls AND log in the most miles on their bike wins! (Just make sure the quality of the prize reflects the level of engagement you’re looking for). Rally the Team. There are countless ways to build team cohesion, but why not take advantage of the warm weather? Everything from creating a softball team to compete in a local league, to sponsoring a company wide volunteer opportunity serves to not only break up the day, but help define who you are as a company. Host a company picnic, provide transportation to a local beach, amusement park or river rafting trip. Take advantage of all your area has to offer, in so doing, give your employees a shared experience that builds both trust and cohesion. Summer may challenge your employees focus and enthusiasm, but by making some easy changes to routine and the physical plant, you can help them keep their eye on the ball. 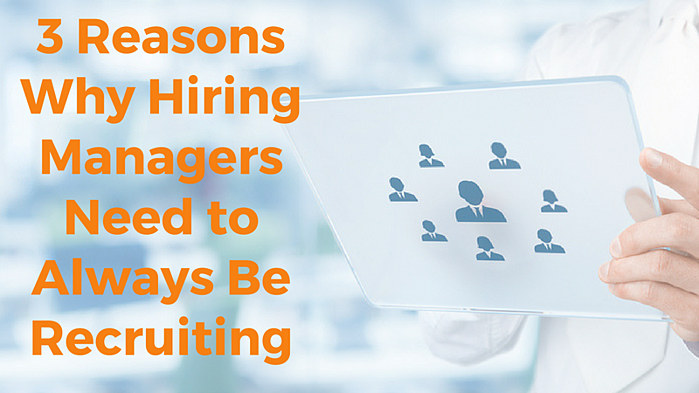 If you’re a hiring manager with a fully staffed team, you may assume there’s no need to keep seeing candidates. After all, you’re busy and need to keep your full focus on managing the team you have; rewarding the top performers, continually training the guys in the middle and pushing the team members who are lagging behind. Why waste time interviewing candidates for a position that doesn’t exist? But there are several important reasons to keep seeing candidates that transcend simply filling vacancies. Regardless of what business you’re in, information is an invaluable commodity. Whether you’re in sales or not, you need to constantly be gleaning intelligence about your brand’s position in the marketplace. Speaking to candidates who are interested in working for you is an invaluable way to get all kinds of information. How are you perceived by your user base? How does your brand stand up in the marketplace? What’s your reputation out in the job market? And on the other side of the coin, you need to stay current on your competition. If you want to learn how other companies in your sector operate, you have to keep speaking to people on the inside. And who better to learn from than someone who is looking to move on. Where do you stand against your competition in terms of pay structure, quotas, the tools they use. And then there are the intangibles such as company culture, how is the morale? Are they hiring? Are they losing people? Do they have a high level of management churn? Even if you have the team of your dreams in place and can’t foresee it changing anytime soon, you have to remember that life happens. People leave, they get promoted or maybe they’re unexpectedly moved to fill a hole in another group. And let’s be honest, not every hire delivers on their potential. 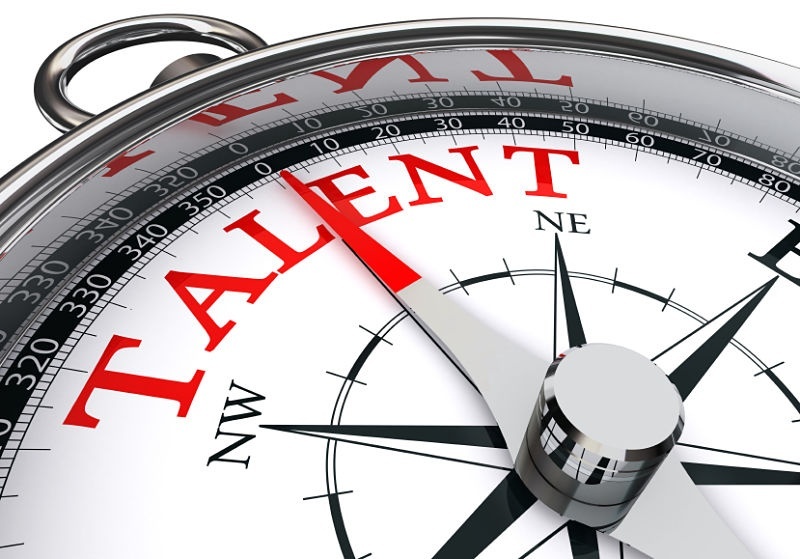 If you don’t have a pipeline of top quality candidates to draw from, then you’re stuck either with a mediocre performer or with an empty desk. And if you’re in sales, you know that vacancy is costing you not only productivity, but is draining your own quota. This is a high price to pay for not planning ahead. When you look out over the same vista day after day, it’s easy to lose perspective. Just as talking to your mentors, attending conferences and speaking with your peers often gives you new insights into your sector and your place in it, interviewing candidates allows you to see what’s possible. It’s easy to get caught up in the mindset that what you have is all that’s available to you. The team you have is the team you’ll always have. But if you are meeting candidates on an ongoing basis, you’ll see that you have options. You don’t have to tough it out with the salesperson who’s struggling to keep up, nor do you have to put up with the cancer in the locker room. Just because you don’t have an opening at the moment is no reason to let the best candidates go to your competition. Interested in meeting top flight sales candidates? Let J.Patrick & Associates hunt for you!